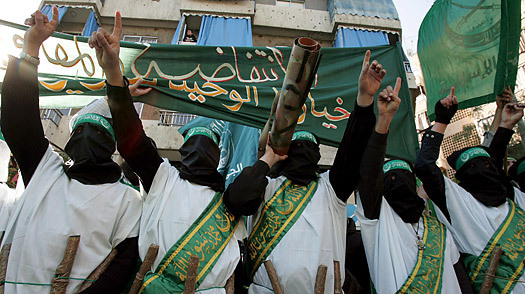 Hamas’ Khalid Amayreh – “Gloating over the recent killings in Norway of dozens of innocent people at the hands of an Israel-inspired Christian Zionist terrorist, Glenn Beck, the American right-wing talk show host, compared the victims of the shooting at a Norwegian summer camp to Hitler Youth in his radio program on Monday, according to a Daily Telegraph report. The "Hitler Youth" organization was a paramilitary youth organization comprising teenagers and children, entrusted with task of harassing and attacking and terrorizing perceived or real enemy of the Third Reich. It existed from 1922 to 1945." 1988 Charter of Hamas - "Israel will exist and will continue to exist until Islam will obliterate it, just as it obliterated others before it. The Islamic Resistance Movement believes that the land of Palestine is an Islamic Waqf consecrated for future Moslem generations until Judgment Day. It, or any part of it, should not be squandered: it, or any part of it, should not be given up." "There is no solution for the Palestinian question except through Jihad. Initiatives, proposals and international conferences are all a waste of time and vain endeavors." “Torbjon Eriksen, a former press secretary to Jens Stoltenberg, Norway's Prime Minister, dismissed Beck's comments as "ignorant, incorrect and hurtful. Young political activists have gathered at Utoya for over 60 years to learn about and be part of democracy, the very opposite of what the Hitler Youth was about," he told The Daily Telegraph. "Glenn Beck's comments are ignorant, incorrect and extremely hurtful." Beck is an ardent supporter of Israel. He is totally against any peace arrangement between the Jewish state and the Palestinians, especially one involving territorial "concessions" by the Zionist state. Beck visited Israel last week during which he admonished Israeli leaders to refrain from "giving land" to the Palestinians, the authentic rightful owners of the land, because "you have no right to give away God's land to the goyem or Gentiles." In the past, Beck and his other Christian Zionist fellows lauded and cheered Israeli massacres of Palestinians, including the intentional murder of hundreds of Palestinian and Lebanese civilians in Israeli aerial bombing and artillery bombardment. There is no doubt that Beck's comments are grave and serious for what they represent and signify. This is no less than a new kind of Nazism raising its ugly head. Christian Zionism is the new Nazi beast, a kind of a Fourth Reich, looming on the horizon. It is evil, murderous and genocidal. They mendaciously call themselves Christians. However, their hateful speech, vindictive behavior and the nefarious way they relate to those who disagree with them suggest that they possess no iota of true Christian morality. Like their Jewish Zionist colleagues in hate, Christian Zionists would like to induce and expedite violence, tribulations, wars and genocides on a huge scale in order to accelerate the second advent of Jesus. This is why these genocidal monomaniacs wouldn't mind if Israel exterminated millions of Palestinians, Muslims as well as Christians, as long as the genocide would effect and speed up Jesus' second coming. Likewise, these criminal fanatics, utterly immune to rationality, reasonability and common sense, wouldn't mind a no-holds-barred approach to those who disagree with them. Hence, liberal-minded people, leftists, Muslims and other Christians, such as Roman Catholics, would have to be slaughtered and annihilated, all in Jesus' name. Even their current strange bed-fellows, the Zionist Jews, would eventually have to convert or dieThe ostensible embrace by a key representative of the American evangelical Zionist camp of the recent Oslo massacre and its perpetrator exposes naked a pornographically violent cult that calls itself Christian while actually doing Hitler's work. Finally, there are many short-sighted Jews who are effectively shooting themselves in the foot by joining ranks with these genocidal Christian extremists. 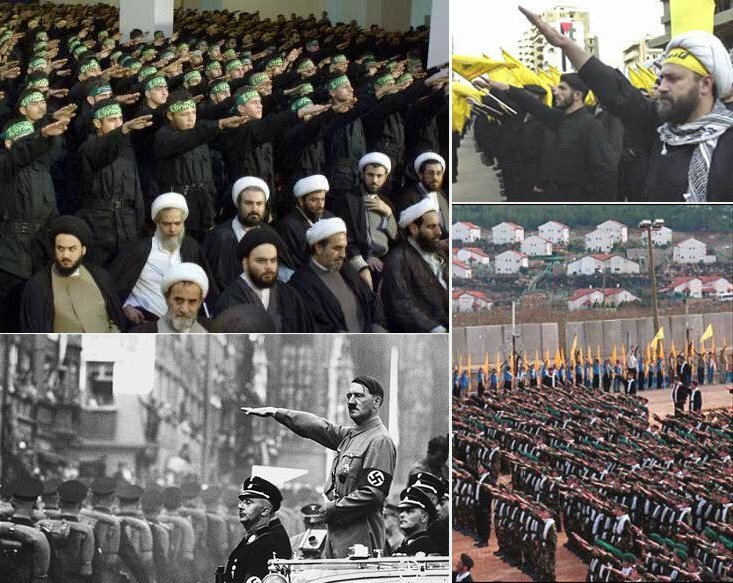 Zionist Jews may be prompted to think that these mindless fanatics and gullible extremists are "useful idiots" who can be used to malign Islam and help the Israel win "the public relations battle." However, it should be understood that befriending, let alone embracing these dangerous people, would be akin to placing a venomous snake in one's lap. It could kill you! If you have wondered the difference between the Biblical concepts of Torah’s true “Culture of Life” as compared to a “Culture of Death”, you might desire to learn of the Biblical portrayals on what is and may be happening in your near future. This Biblical portrayal includes Prophecies that the Lost Tribes of the House of Israel are about to return to the Land of their Biblical Inheritance. This is Divine Destiny in living reality as the 10 Lost Tribes of Israel return to their Homelands first in Shomron (Samaria), Israel. If you want to learn more, Contact “Kol Ha Tor Vision”, the Voice of the Turtledove. Here is a joint Orthodox Jewish and 10-Triber Mission to bring awareness of the imminent fulfillment of the Biblical Prophecies regarding the Redemption of all Israel (12 Tribes Re-conciled and Re-United). This super Event of all Times will entail Establishing the Shomron (the Ancient Bible Heartland of the Patriarchs) and the Judean Wilderness as part of the Land of Israel, and preparing the “Land” for the Return of the Lost Tribes of the House of Israel and then the Redemption of All Israel. For inquiries about Kol Ha Tor Vision for the Lost Tribes of Israel, Visit – “Shomron Lives!”, a Spiritual Retreat and Guest House in Samaria, that is hosting a Shomron / Samaria 13-day Succot Tour in October 2011 to reacquaint the Returning Lost Tribers of the House of Israel and a “Glenn Beck "Restoring Courage" Back-Up Jerusalem Tour” on August 21-27, 2011.